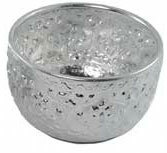 Thai silver water jug is a traditional jug, Thai flower style, used for serving water and 4 silver bowl: product of Thailand made of aluminium. Jug Size: Dia 13 cm Height 19 cm. Silver bowl Size: Dia 12 cm Height 6.5 cm.